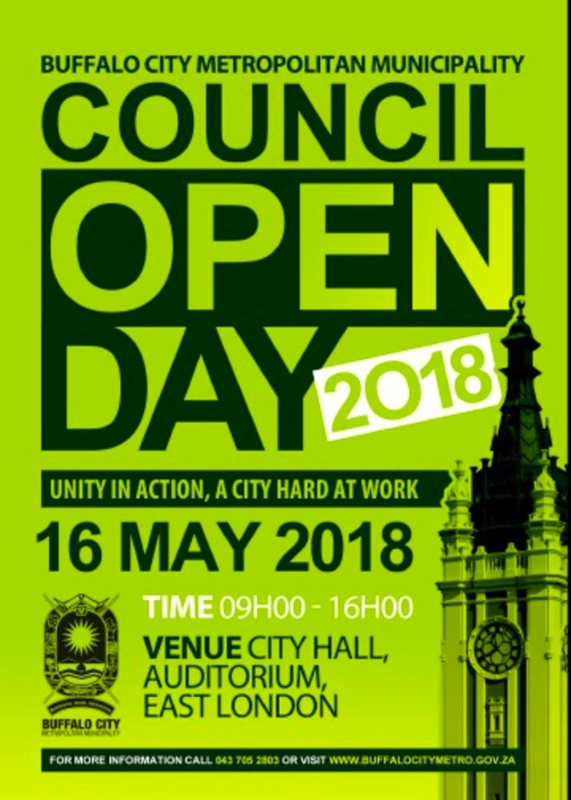 The Council Open day kicked off this morning at the East London City Hall, following the successful road shows for the 2017/2018 draft Intergraded Development Plan (IDP) and Budget. The purpose of the day is to present the outcomes of the IDP and Budget roadshows as well as key issues raised by traditional leadership and the business fraternity before it is tabled in Council for adoption. “We are doing this not because of our own goodwill but we are instructed by the people’s Freedom Charter which asserts that; “All bodies of minority rule, advisory boards, councils and authorities shall be replaced by the democratic organs of self-government,” said Pakati. He added that the City has always ensured that we engage our communities through the Mayoral Imbizo programme which we held at the close of last year and we have recently completed intensive and fruitful Integrated Development Planning consultations as earlier alluded to. Community members are also part of the gathering as they are given an opportunity to raise queries that might have been left out during the roadshows. “It is important to note that the participation of our communities in our processes is not only limited to the budgeting process. The Council of our metro has an operating Ward Committee Public Participation Framework whose sole intention is to foster direct involvement of residents and local organisations in the decision-making processes of the municipality,” Pakati added.